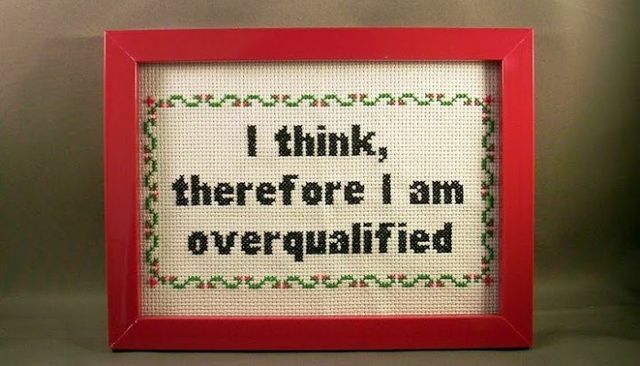 Should you recruit an overqualified candidate for your vacancy? With most companies facing a talent shortage of the calibre of candidates they would ideally like to attract to their businesses, you are unlikely to be able to pick the perfect candidate every time. Quite often you will be left with the choice of recruiting either an inexperienced candidate with bags of potential but who is totally unproven and will require a lot of investment or a very experienced candidate who could do your role standing on their head but is actually overqualified for the position. Let's focus on the good and the bad of recruiting the overqualified candidate. I have met and interviewed a lot of candidates in this category especially since the 2008 recession when a lot of senior candidates lost their jobs and were forced to accept lower paying roles just to get back into work and pay their mortgages. I have seen some brilliant successes and I have also seen some real disasters. You need to dig really deep during an interview to understand if your candidate still has aspirations to maintain their hierarchical level or even drive on to progress upwards. It is fine for them to take a step back due to their current circumstances but they won't lose their career aspiration and you need to plan this in if you want to keep them in the future. If not then they will leave you for the first opportunity put in front of them to kick on with their career. Be honest about your organisation and the promotion opportunities that are realistic. I have seen businesses make promises to ambitious candidates about moving them up the ladder when the reality has been that their very flat hierarchical structure has not allowed it. If the glass ceiling is going to stifle their ambition then be prepared for a short stay or be honest with them at the outset. I have rarely seen candidates taking a significant pay drop and being happy to keep it at that level for too long. The fact is that we all get used to our disposable income levels and so why would someone be happy to reduce their household income and limit their family's spending power? You need to think ahead and the ways in which you could progress the candidate's package perhaps with long-term incentive plans or performance-based rewards. It is always a challenge for a manager to have someone who could do their job in the team. Whilst having people better than you could create a high performing environment, it is a tricky relationship to manage. Success here is all about transparency and open dialogue. Over hiring can reap rewards but it could also be a short-term strategy! Be honest about when an overqualified candidate might work At the end of the day, there are numerous scenarios where hiring an over-qualified person could work out just great, but just be aware of the consequences of your decision. If you are looking for a short term fix or short contract role, this can certainly be an entertaining option. But, if you are team planning for a long term strategic road map, these points need to be thought through. As a Hiring Manager, if overqualified candidates are all you’re getting from your recruiter, a whole other conversation needs to take place so you can synchronize with them and figure out if what you are looking for is available.